Some 400 guests - to include the cream of gift retail, leading gift suppliers and trade show organisers - made a beeline for the glamorous Grosvenor House Hotel on London's Park Lane this afternoon (May 4) to see the winners crowned at The Greats Awards 2017, organised by leading giftware trade magazine Progressive Gifts & Home (the sister magazine to Progressive Greetings). Taking crystal as its theme to celebrate the Awards' 15th anniversary, it was certainly a glittering, glitzy occasion, with everyone enjoying a magnificent lunch, created by the chefs at the Grosvenor House, stand up comedy from actor and comedian Charlie Baker, and music from jazz trio Midnight Blue. 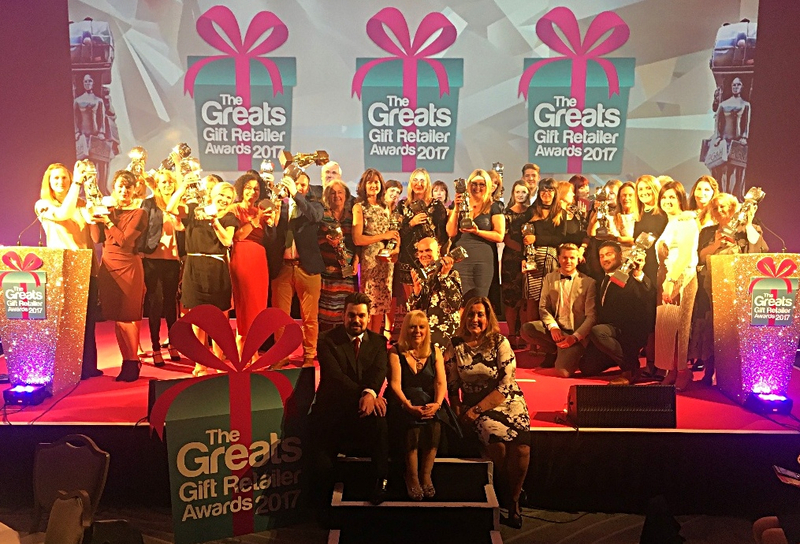 Sue Marks, editor of Progressive Gifts & Home, commented: “Despite the many curve balls that retail throws at independents and multiples year after year, the best continue to rise to the challenge and it is these 'greatest of the great' gift retailers that we were delighted to recognise and reward this afternoon."